The Joyful Tribe: What's in Bella's Easter... Backback? 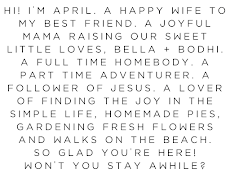 I always love to think outside of the box and I've always disliked buying cheap baskets that I'm going to toss after Easter is done, and maybe one day I'll get one of those personalized Pottery Barn Easter Baskets for Bella, but this year, I decided to go a different route! 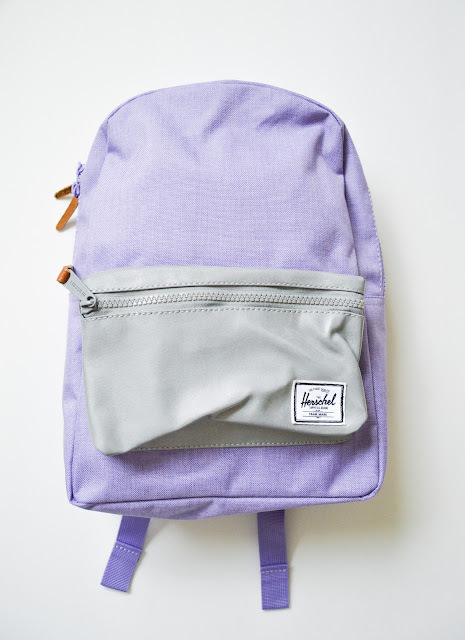 An Easter Backpack! Say Whaaaaa?! 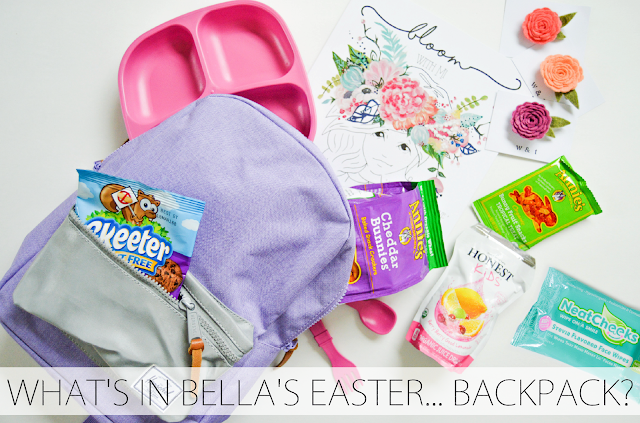 Yep, an Easter Backpack! I'm super excited too! Bella loves bags and backpacks so I know this will be right up her alley and that she's going to love it! Read all about the items below that I'm including in her baske... oops, backpack! 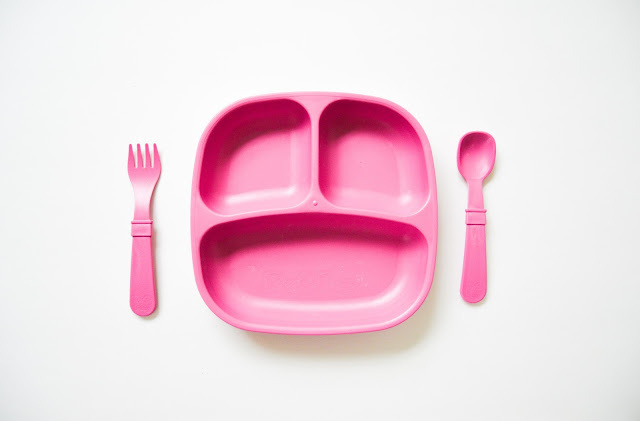 Maybe you'll even get some ideas for your own littles! I've had my eye on this backpack for her for pretty much forever, well this style of backpack anyway, and when I laid eyes on this color I knew Bella had to have it! Plus a recommendation from one of my closest friends, Courtney from over at Rose and Marigold, sealed the deal that it was a good buy. It's a kids backpack so it'll be the perfect size for her. It matches with all of her other purple things, her room is getting puuuurrrple lol. I can't wait to see her face on Easter morning and to see her wearing it around this spring and summer! We're so obsessed... like seriously obsessed. 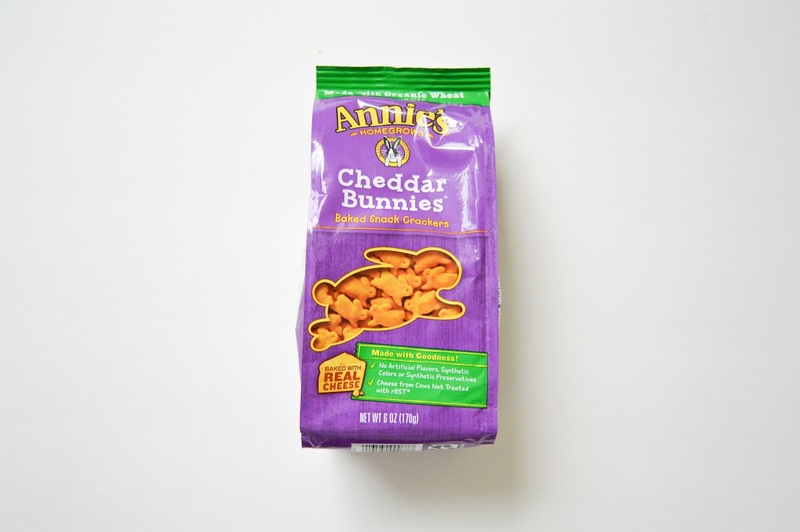 Cheddar bunnies are a much requested item in this home and I don't see the Annie's love diminishing anytime soon. Even I love them! And don't even get me started on the gummy bunny fruit snacks... LOOOOVE. 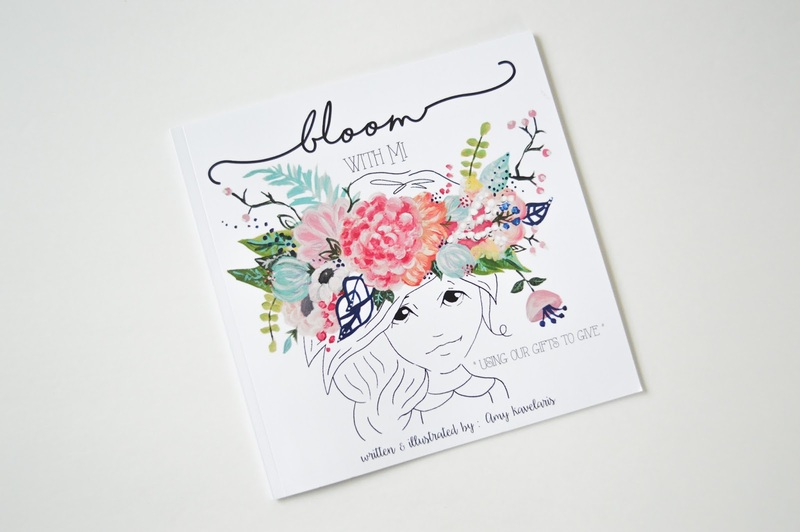 One of my dear instagram friends, Amy Kavs, recently published this lovely work of art. This book encourages children to learn how to use her talents and gifts to give back. I LOVE that there is no color to her skin and hair, so that ALL littles can relate to her, no one feeling left out. There is however color in her paintbrush and blooms, to show how she is giving and spreading love. My daughter has always loved books, but has especially had an interest in books lately so I know she's going to love this beautiful book. This is a given. The "Berry Berry Lemonade" (or "Pink Juice as Bella calls it) is a staple in our home. Even I have to admit, I sneak them when she isn't looking. They are SO GOOD!! Plus they don't have all of the nasty artificial ingredients and overload of sugar that most traditional brands of juice packets have. They are sweetened ONLY with fruit juice and are completely organic! I guess you could say that this is a given. We've loved this company from the time we first heard of them from one of my best friends, Brianne from The Sentimental Mama, when the company was still just a startup in their baby stages. 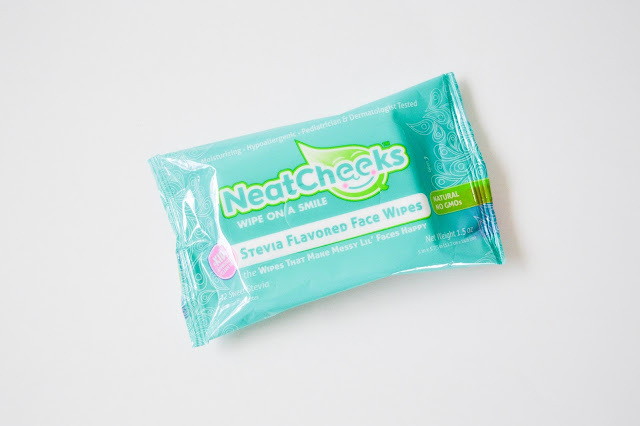 Sweet face wipes flavored with stevia (a natural plant extract) so that they don't leave a sticky residue, contain natural ingredients, and my toddler simply adores them and begs me to wipe her face with them, She constantly asks for "cheeks" wanting to taste their fun sweet flavor and stay clean. They come in both original/natural and peach! Nom! These dishes are not only our favorite, they are a part of our daily lives and a part of every single meal in our home! These dishes take a beating and are extremely resilient, especially considering we've been using them almost daily (and now multiple times a day) for over a year and not only have they held up, but they look almost brand new! They literally look hardly any different than they did the moment we pulled them out of the box. And that's just the divided plates, bowls and utensils I'm talking out! 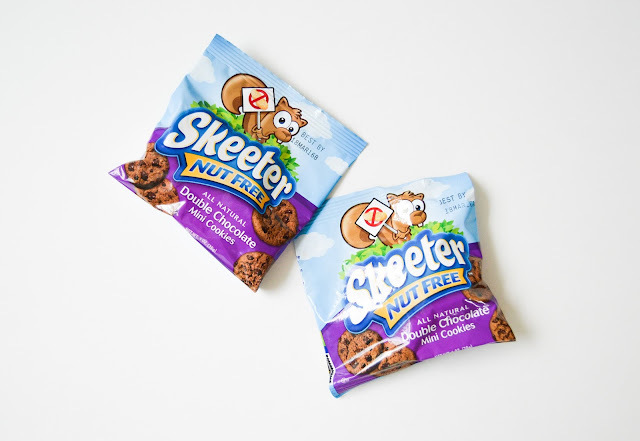 The snack pod and Sippy cups don't just get daily use... they get constant use! Bella always either has a Replay Recycled Sippy cup or snack pod in hand. 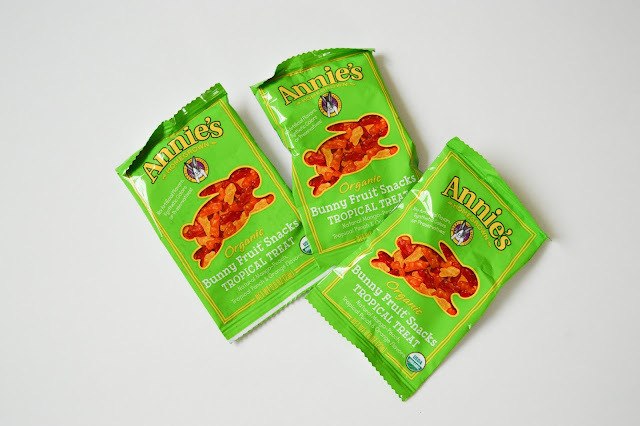 The snack pods are perfect for her Annie's Organic Homegrown snacks and her Skeeter Nut Free cookies. The Sippy cup? 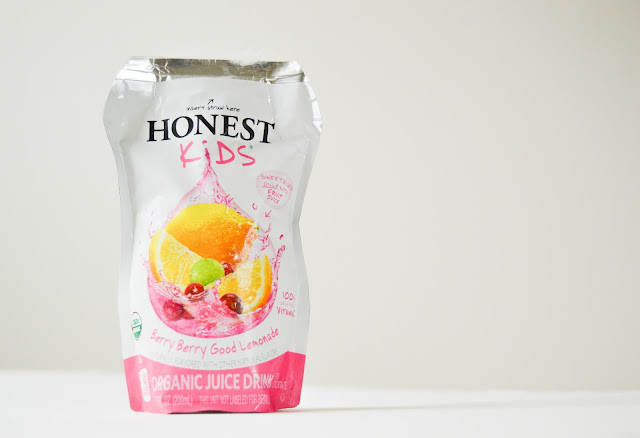 I could go on ALL day about how much we love this Sippy cup. It is the ONLY Sippy cup that Bella will use AND the ONLY truly no spill Sippy cup we've ever found. A few of the other reasons we love Replay Recycled dishes is because they're so easy to clean! Plus we love their green and earth friendly impact! I worked with the loveliest and dear Holly from the shop Will & Tess this past Autumn and I'm so excited to be telling you a little about one her their new products! 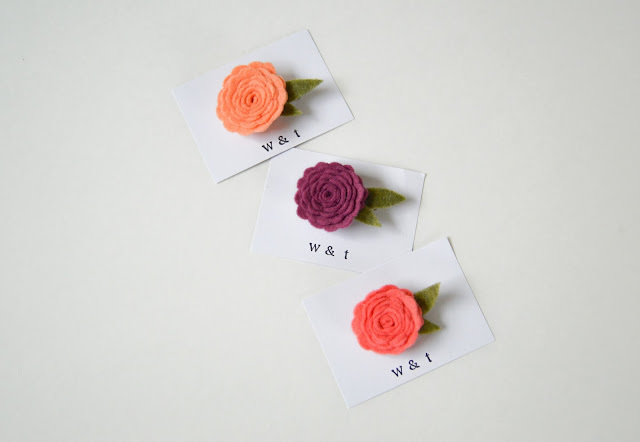 Will & Tess is one of our favorite shops and I can only assume will be forever, because I mean, just look how adorable their stuff is? And have you seen the amazing new line of hand dyed items in the shop this spring? I might be drooling a little its all so gorgeous! But let me tell you about these little hairbows here for a minute... Holly sent us the Little Posey Hairbows in Guava, Grapefruit and mulberry, all seriously beautiful colors that I am maybe just a little obsessed with. These hairbows come in SO MANY colors though, they're simple yet make a big statement and they can be dressed up or dressed down. Oh and they're super cute with pigtails, Bella wore them in her pigtails to her allergist appointment a few days ago and the doctor and nurses couldn't stop commenting on them! Pretty sure I'm going to need to purchase a few more colors for Bella before too long. AND they come with the option to have either a clip (which is what we chose) or a nylon elastic headband which grows with your child and doesn't leave a dent in your babies head! Okay folks, that's it for this year's Easter bag (I mean backpack;), and it's not too late to get some of these goodies for your own little(s) Easter basket(s)! What do you have in their baskets so far? Happy Easter!